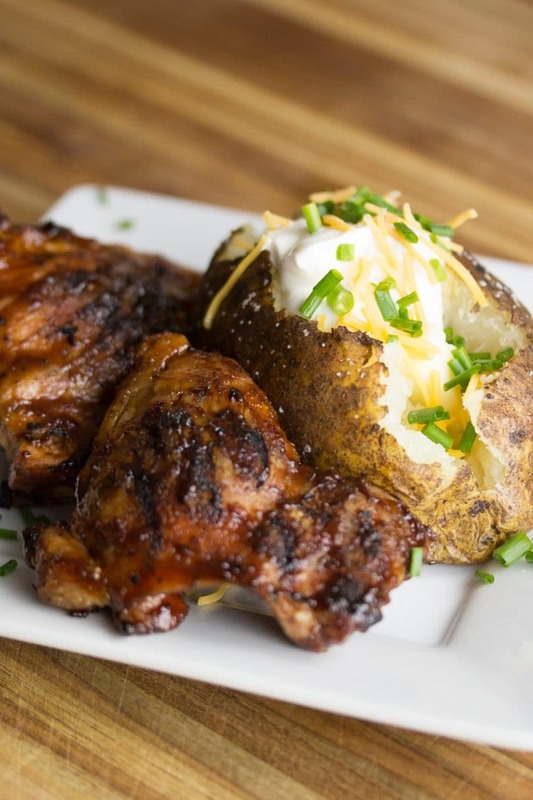 This Super Easy Grilled Chicken makes the perfect chicken with a simple method for smoky, moist and tender chicken. Stop being afraid of a charcoal grill and try this method! It’s a cooking method I picked up from a friend. I have a buddy who makes a pretty mean hamburger. We can both use the exact same grill, meat, and seasonings, and his burger always comes off tasting as they’ve actually been grilled. I’ve always had the mindset that you want to cook hot and fast, but not fast enough to burn. I have always wanted that super sear on the outside of my burger. They always turn out great, but my buddy’s burgers have always turned out exceptional. His secret was to close off the air dampeners on his grill so his charcoal produces a little bit of smoke. He then lets his burgers chill on the cooler side of the grill getting some of that smokey flavors. 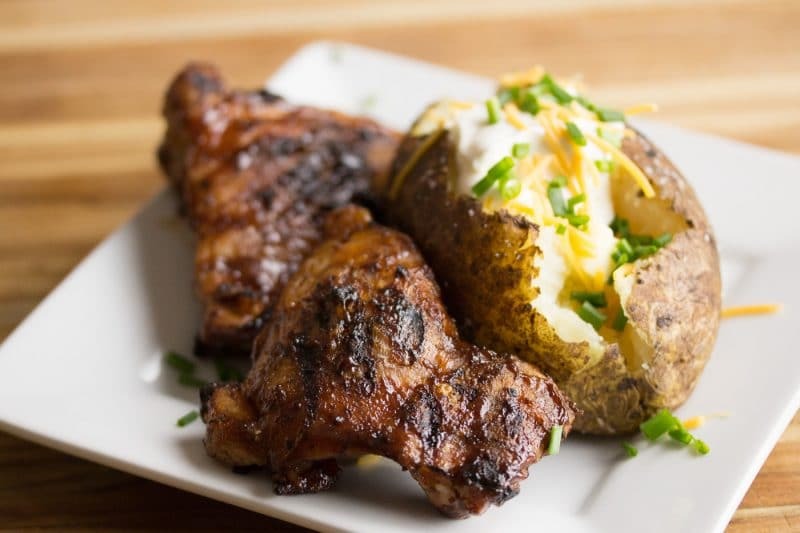 Super Easy Grilled Chicken uses the same method to make some of the most off the chart grilled chicken without a lot of headaches. 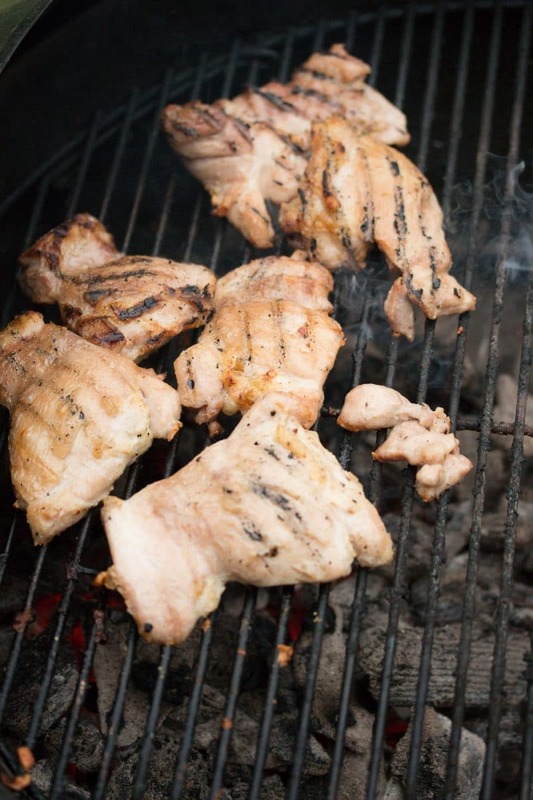 The first part of grilling good chicken is deciding on what cut of chicken you want to use. I am not a huge fan of fighting with bones in chicken meat unless it’s chicken wings. 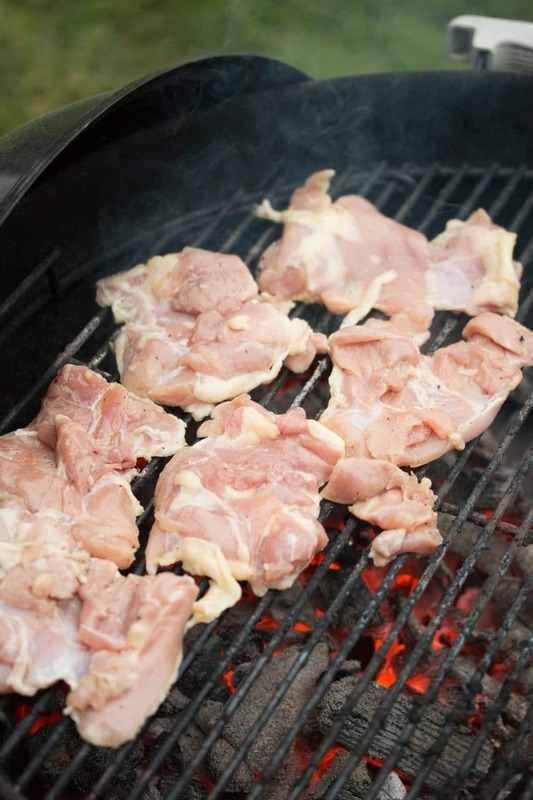 For boneless meat, you can go with either dark meat (chicken thighs) or white meat (breasts). Which one to choose is really what the final endgame is going to be. For me, if the chicken is going to get consumed right away or be eaten warm, then I always go for chicken thighs. If the meat is going to be eaten cool, turned in to chicken salad, or eaten as leftovers, I go with chicken breasts. Chicken thighs have superior flavor over a breast, so I like to eat them hot and fresh. But I don’t really care much for the fatty texture of it reheated or eaten cold. So for today, we’re going with chicken thighs and hopefully, some of the fat will render a bit and make the exterior a little crusty. Another reason I love cooking with chicken thighs is that they are very forgiving. They take very well to being overcooked compared to chicken breast. We’ve all had those chicken breasts that seem like they’ve been cooked until they turn into white nasty hockey pucks. I have way overcooked chicken thighs and they always seem to bounce back in the end. For grilled chicken, you can use whatever spices and sauces you like. If you’re using a spice or dry rub, put it on before you grill your chicken. If you are going with a sauce, I recommend putting the sauce on near the end of your grilling session. I find that putting it on up front causes it to burn instead of turning into sticky goodness. So here are my preferred steps for cooking super easy grilled chicken. Preheat a charcoal grill with lump charcoal (you can find this stuff at lowes and home depot). After you’ve preheated your charcoal, set up a two-zone fire. A hot side with all the charcoal and a cooler side with little to no charcoal. Put on your grill grate and let the grate get nice and hot. Coat your chicken in a little bit of olive oil and coat in your favorite seasoning. I recommend a little salt and pepper at a minimum. Put your seasoned chicken on the hot side of the grill and let them cook for approximately 5 minutes. Flip your chicken and cook another 5 minutes. Pay attention to which pieces of chicken are getting a little too much heat. move them around so they all get a little bit of good searing action. After 10 minutes or so, move the pieces of chicken to the cooler side of the grill. Close the air dampener of your grill almost all of the way, probably 75%. Your grill should be producing a little smoke. Let the chicken cook for about 5-10 minutes. Open the grill and check on the chicken. Move those around who might be too close to the hot side of the grill. Close the lid and cook another 5-10 minutes. You can add bbq sauce at this point. 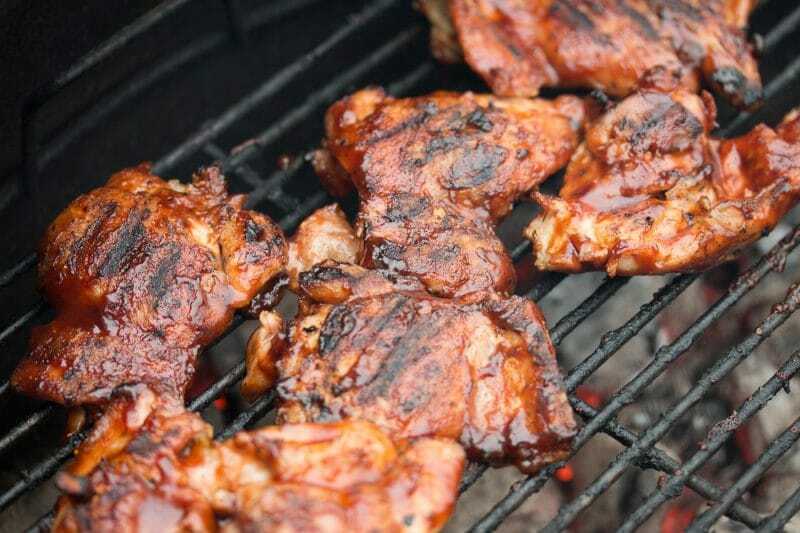 If you do add BBQ sauce, I recommend tossing them back on the hot side of the grill to help get that sauce to stick a little better and maybe to char a little bit. Use a thermometer and check to see if your chicken has reached at least 165º F and pull off if finished. Serve these hot right off the grill. Try serving with loaded baked potatoes, loaded mashed potato bites, corn on the cob, sweet potatoes, or baked beans. Remember to follow us on social media using the button below!